Despite BJP falling short of magic figure and Congress-JDS forming alliance, BS Yeddyurappa sought the appointment of Karnataka Governor at 5 PM on Tuesday. He believes BJP should form the government after emerging as the single largest party. May be, Yeddyurappa have no idea what happened in Goa and Manipur where Congress emerged as the single largest party but BJP formed government. Does BJP have the moral right to complain if Congress-JDS form the government? Yeddyurappa told he is grateful to the people of Karnataka for reposing faith in BJP. He claims to be indebted to Leaders and Workers who worked relentlessly for achieving the best result. Yeddyurappa feels Narendra Modi's initiatives and Amit Shah's organizational skills played a significant role in the victory of BJP. BJP CM Candidate declared he would be forming the Government with the support of Deve Gowda's son Revanna and 12 JD (S) MLAs. Will Deve Gowda allow his party to be divided into two parts? 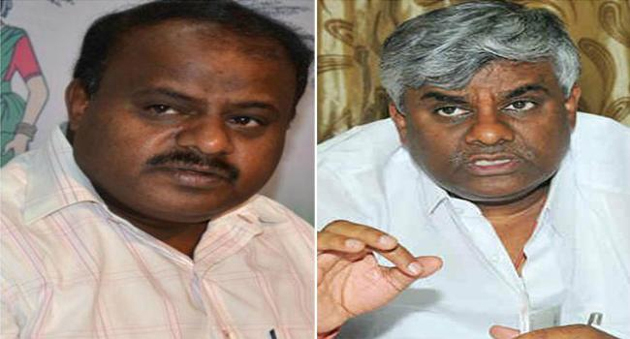 KA Polls 2018: Kingmaker Turns King!